These databases contain topics like therapeutic modalities, health education, physical activities, biomedicine, and learning. "OTseeker...contains abstracts of systematic reviews, randomised controlled trials and other resources relevant to occupational therapy interventions. Most trials have been critically appraised for their validity and interpretability." NARIC includes REHABDATA, the NIDRR Project Database, and NARIC Knowledgebase. Psychological literature in allied health, medicine, and other fields. 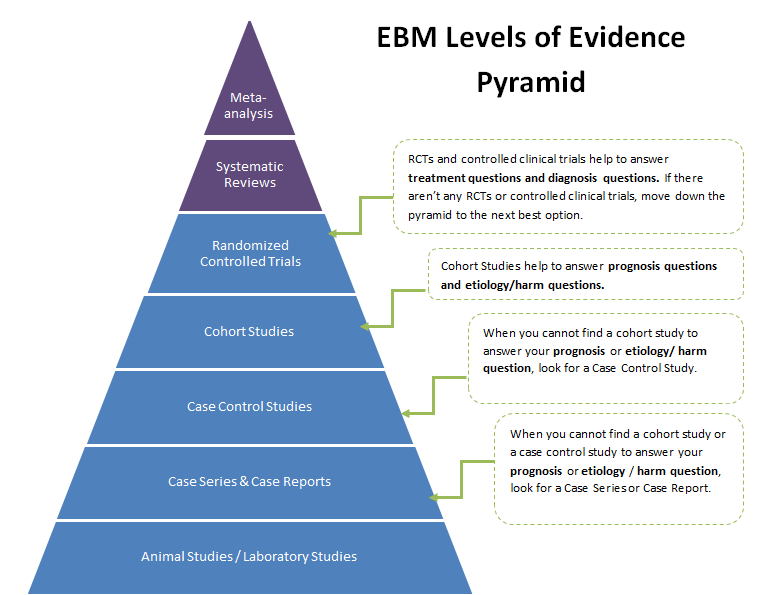 Evidence Based Practice (EBP) or Evidence Based Medicine (EBM) uses the best current research evidence to support clinical decisions in patient health care. O: ...lead to lower concussion rates. Is the evidence enough for the school district to require weekly checks of high school football player's helmets? In this example, the focus is on high school football players with head injuries. This study could be narrowed even more by selecting a certain football position to study. This study compares weekly helmet checks to only two checks a season. Is there a decrease in concussions rates with weekly checks? If there is enough evidence, should the school district require athletic trainers and football staff to check the helmets weekly? If the school district does changes their helmet-checking requirements and schedules, this would be an evidence based practice. Also, see Centre for Evidence Based Medicine's guide. Select books at Gumberg. Click the title to access. Email me or make an appointment!